Occupy Nashville protesters at the state capitol. While media pundits look for a single "heroic" leader in the Occupy Wall Street movement, others point to a reclamation of participatory democracy and an emerging model of distributed leadership. Image from AP. Occupiers resolutely preface all media statements with the assertion that “I am only speaking for myself”–even as television reporters have introduced them as “a driving force” or “leader” of the protests. The good news is that OWS’s and other local Occupations’ resolute refusal to succumb—in media, and on the ground in local occupations—to the call of mainstream politics and media for representatives and leaders has provoked at least some thoughtful debate about direct democracy and leaderless movements. An October 11th piece in the Christian Science Monitor by Daniel B. Wood and Gloria Goodale quotes Fordham University communications professor Paul Levinson musing on the capacity for direct democratic processes to “more truly represent the will of the people”—that is, if they first don’t “turn into a mob.” Other experts in their article, like Nina Eliasoph, contend that the problem is not leaderless so much as their lack of “spokespersons” (a puzzling assertion since so many Occupiers have been interviewed). And others insist the Occupation is being covertly led—by the Democrats—an assertion that’s hard to take seriously. In an October 18th CBS article, Deborah Ancona insightfully observes that media’s “view of leadership is stuck in the old model of the single heroic leader in command and control mode. What we are witnessing is a different leadership model—distributed leadership. Here multiple leaders take on various leadership activities in an attempt to move toward the collective good.” Her piece calls attention to how OWS’s “leaders” envision their roles as facilitators and catalysts, drawing others into the co-creation of the movement. Still, she ends warning against a “fizzle” (such a weirdly evocative—and increasingly hackneyed—metaphor). Commentators frustrated with the heterogeneity of Occupiers and their allegiances keep insisting this movement won’t congeal. Even when commentators can catch a glimpse of the political possibilities proffered by OWS practice, they return to an analysis which links judgment on OWS to the perceived “failure” of leaderless movements historically in the arena of traditional party politics. What they are missing is what’s actually happening among occupiers at the ground level. When people express their incredulity about the rag-tag assortment of voices out of the Occupations, I always ask them, Have you gone down? Have you attended a General Assembly? Anonymous protester at Occupy Nashville. Image by Chris M. Scruggs. 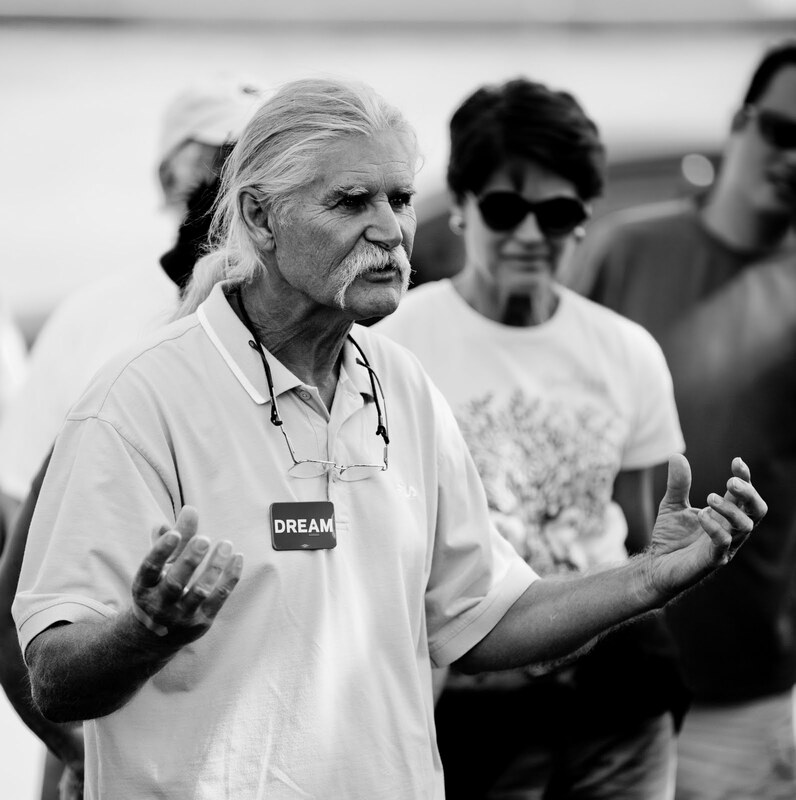 Our Occupation in Nashville has just finished its first month: it began on October 8th. Almost 50 Occupiers were arrested a little more than a week ago, over two nights. 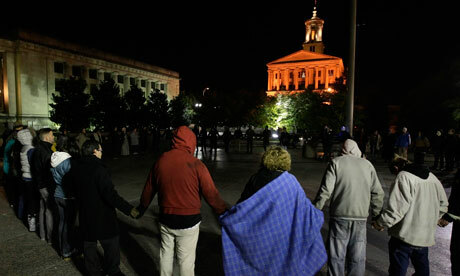 The arrests resulted when the state tried to enforce a last-minute rewriting of its policies about public assembly in Legislative Plaza, Nashville’s traditional political public forum, which commands views of the state’s Court, Legislature and Capitol. Happily, Nashville’s night magistrate, Tom Nelson, refused on both nights to jail the Occupiers, telling troopers, "I have reviewed the regulations of the state of Tennessee, and I can find no authority anywhere for anyone to authorize a curfew anywhere on Legislative Plaza." I’ve been going down a few times a week since its early, exhilarating days—when the police were still being friendly—through the roller-coaster week of policy changes, threats, and then legal triumph, and now again as the Occupation settles in and begins envisioning its long-term stay and long-term goals. Like many others, I go not just because I’m curious to know what’s going on and because I’m proud of our Occupation, but because I really love participating in it. As I’ve tried to explain to friends, it’s an all-too-rare chance to really participate in a democratic deliberation. There’s something weird about the human microphone, for sure, but the weirdness evaporates quickly and 20 minutes into a meeting, you realize it makes you LISTEN to a speaker in a way we seldom do in politics today. I’ve encountered my own difficulty “miking” opinions I don’t really like. But whether I repeat the speaker or not, I sure do hear them. And think about what they say. And more interestingly, I get to be a part of a consensus process. Decisions don’t move forward unless a majority of our Occupation agrees. If someone “blocks” a decision (signaling her moral or ethical disagreement with it by crossing her arms on her chest), she has an opportunity to speak and sway the crowd, which votes again after deliberating the block, at which point the resolution can only move forward if 90% concur. I’ve watched this deliberative process completely reverse a crowd—for instance, over the question of whether to apply for a permit to protest the first night Governor Haslam threatened the crowd with arrest. The Occupation spent at least 40 minutes deliberating—first deciding to “play nice” and apply and then deciding almost unanimously not to apply after one Occupier spoke eloquently about his moral opposition to “apply” for a right guaranteed both in the Federal and Tennessee State Constitutions. This was unfolding calmly, deliberately, while we were waiting for the troopers to move in. While Occupation detractors insist that this is a fringe left movement, it’s clear that the participatory ground rules make room for a full spectrum of political opinion. Well—it’s only clear if people go to General Assemblies. So here’s the kind of thing you can see if you do. Last Wednesday—just two days after an ACLU lawsuit on behalf of Occupy Nashville sent Republican Governor Haslam back to the drawing boards—Vanderbilt Republicans announced they would go to Legislative Plaza Thursday night to stage a counter-protest. They spent Wednesday and Thursday filling local media with soundbites. Occupy Nashville is silly and childish: if they were serious about political change, they’d be at the White House, not jousting at Wall Street, not camping in Nashville. Then they took their signs and chants downtown on Thursday night, just in time for the General Assembly. Welcomed with cookies and chants of “we love you” from the Occupiers, the Republicans tried staging their own “counter” chants—only to have the Occupiers join in. Occupiers welcomed them to the Occupation, explaining that they embraced their use of the People’s Plaza for non-violent protest. They invited the Republicans to use the human microphone, and listened respectfully to the group’s head, Stephen Sio, explain that their demands were “unrealistic.” Occupiers proposed breaking into discussion groups in order to find common ground—which they shortly did. 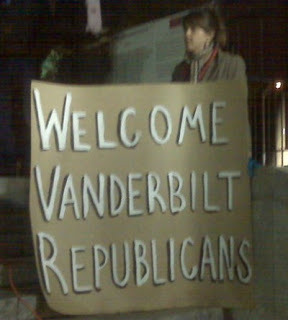 Vanderbilt students who only a day earlier had nothing but contempt for Occupy Nashville ended the evening celebrating their ability to peacefully express differing views and to find points of agreement with perceived opponents, and chanting with Occupiers about what they had produced together over the course of the evening. Dana Nelson is professor of English and American studies at Vanderbilt University and author of Bad for Democracy: How the Presidency Undermines the Power of the People. "Dana Nelson argues provocatively—and persuasively—that the mythological status accorded the presidency is drowning our democracy. The remedy will not come from Washington. It starts with people rediscovering—then reclaiming—their birthright as active citizens, restoring meaning to the sacred idea of self-government." That's a great post, Dana. Thanks so much for taking the time to go to the GA's and report on them. For all the coverage of OWS, there's been relatively little about how this most crucial part of the occupations work. There are a series of posts here from someone who participated in several Zuccotti Park GA's. The adversarial reporting in it is good, but there's also an awful lot of "I'm the only one who knows the right way!" in it, which, you know, no thanks. Having someone on the scene reporting with a skeptical eye - minus the commentary - is really important. excellent post and the debate held was mind blowing.